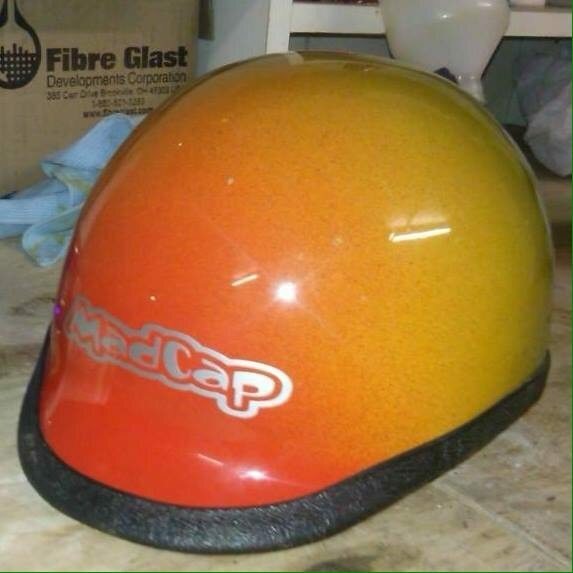 MORE THAN A PAYCHECK ~ MADCAP Helmets’ Doug Watters & Why He Makes Beautiful Helmets. 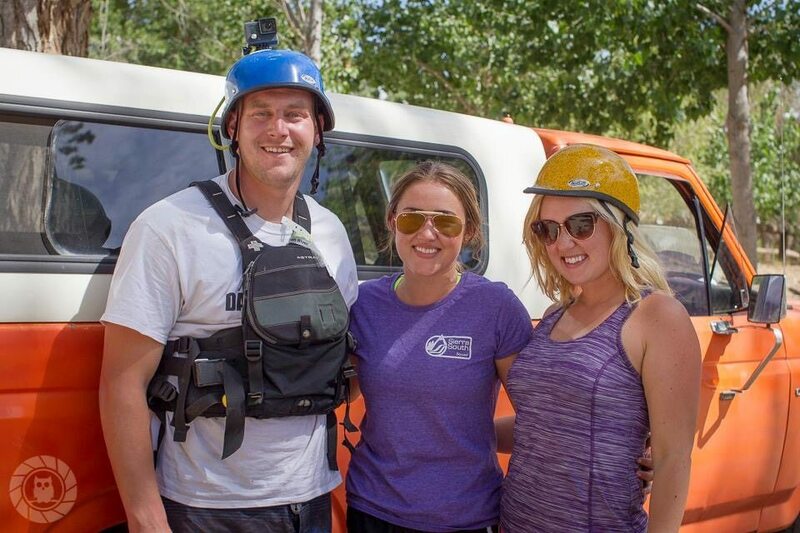 by F.Wes Breitenbach | DBP MAGAZINE ONLINE The World's Best Free Whitewater Publication. It’s obvious we all love to paddle. It’s something you think about not only on the water but on the way home from the water, and at work when you’re waiting for the next day off to coincide with the rainfall or dam releases. You think about paddling on a weekday when the river is least crowded. You fall asleep listening to the rain, wondering if it will be enough to paddle and will it last till Saturday? We all have our level of paddle crazy. Some travel the nation seeking the next new spot while others stay local, mastering a particular area. Some work for months to paddle for a few days while others paddle after work. We all get our fix one way or another. Some go so far as to seek a career that allows them to paddle while getting paid! 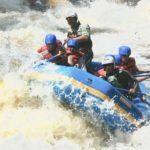 Many seek positions at outfitters and adventure companies, as raft guides, video boaters, safety crew, or instructors, to name a few. One not many think of, and even less pursue, is a career in product design and manufacturing. These people truly love the sport. I got to sit down with one of these people and peek inside the mind of a real crazy! Just kidding! I met with Doug Watters in his studio where he creates MADCAP Helmets (one of Dirt Bag Paddlers’ 6 sponsors of the 2016 ALL-WALLACE TEAM!) to get the inside scoop for DBP MAGAZINE ONLINE.COM. 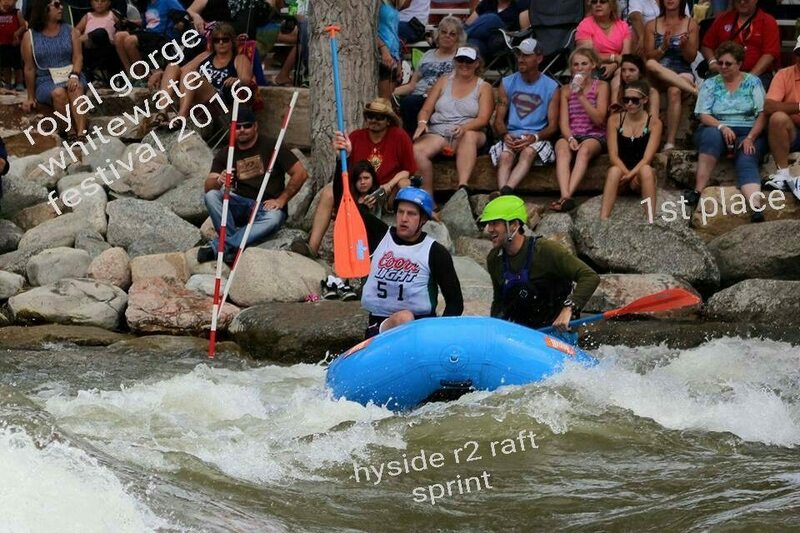 2015 ALL-WALLACE TEAM CAPTAIN Aaron Erdrich winning at Royal Gorge Fest in his MADCAP. I first heard about MADCAP helmets when boating with Aaron Erdrich on one of his trips to the south. I am sure I had seen one of them out boating before but never knew an owner of one. After looking it over I asked about its origin. It is a beautiful work of art and I wanted to know more about where he got it. 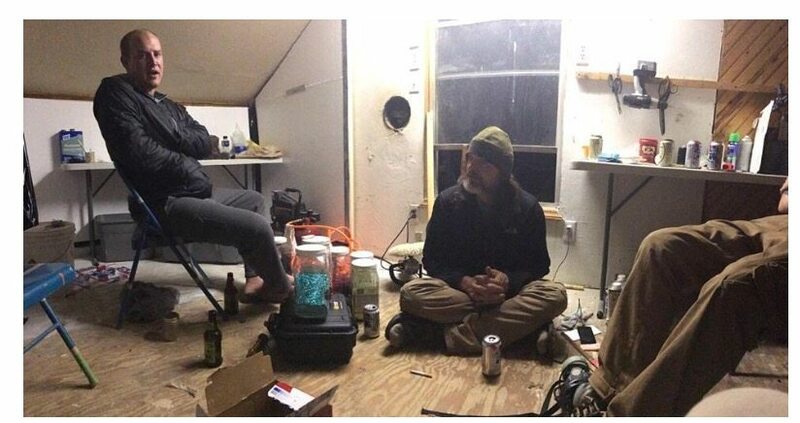 AE explained that there was a dude down by the Nantahala that was laying them up, doing custom pieces as they were ordered. Yes! 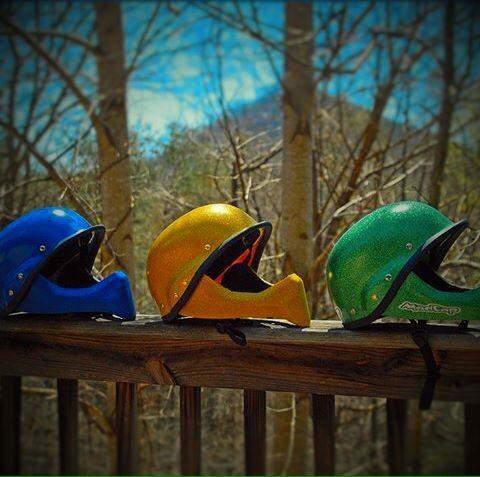 Handmade fiberglass and Kevlar helmets made by a local guy! Even metal flake….. this I had to see. I contacted Doug and he was very open to having me down to see what he does. So I set out to see MADCAP Headquarters. Not an easy destination for most people. The Nantahala River valley lies on the southern edge of the Smoky Mountains. To get there you can drive around the northern route, faster by 3 min but longer by 50 miles compared to the southern route. The cut through the mountain this time of year can be dicey due to the potential for ice around Newfound Gap. So I chose the southern way. This would take me through Deals Gap on US 129, the Tail of the Dragon! It‘s a road that is said to have 318 curves within 11 miles. I believe it is closer to 400 but that’s just my count. It has beautiful views from many spots, but as the driver you can’t look away for a second due to the less than forgiving cliffs that lurk behind most of the curves, as well as the motorcycle enthusiasts who like to defy many things including logic as they pass on blind curves and speed up on anything in their way. Luckily this time of year is a little too chilly for that. So with the sun dropping and the brakes hot I pulled into the sleepy valley of this little river. I met up with Doug and his partner Damian, who has started helping Doug with production and design. The first question I had for him was how? How does a guy end up doing one-off custom helmets for kayakers? There aren’t many smaller niches than that, a few but not many. He told me how he was raised in the fiberglass business his father owned so it was a skill he knew all his life. His dad had a good business. They did custom jeep tops and lots of other things, but sometimes it’s about more than a paycheck. He wanted to do his own thing, and with his love of boating as his inspiration he began making helmets. This was something that he could do himself. He didn’t need anyone to help maneuver large molds or plugs, he didn’t need a big space. He could make what he needed and restock as he went. This is what he has done. 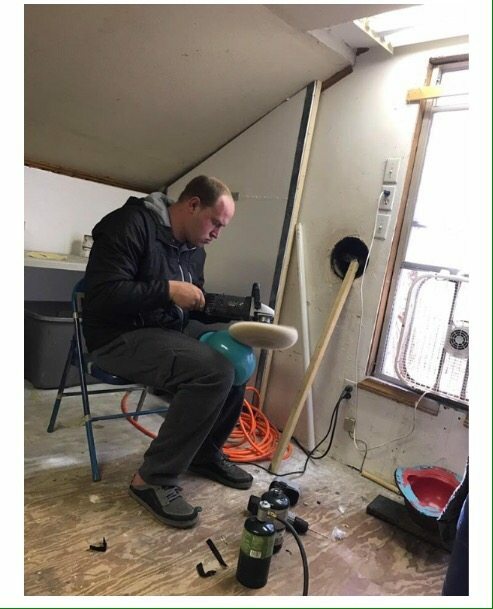 Doug makes his own plugs to make the molds off of. Then he makes the mold from the plug, duh, you know that! 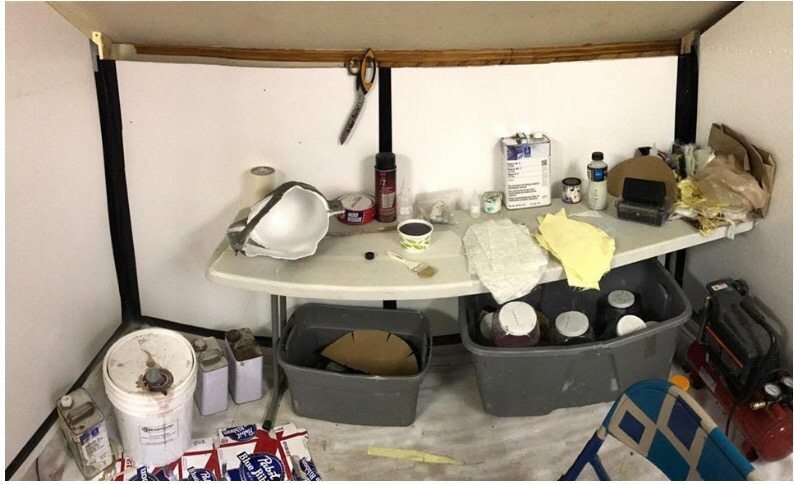 Then he lays up the resin, color, and cloth, not in that order but you get it. He has to wait for each step to dry before going to the next. This process is slow and time consuming but it leaves time for thinking up new designs and tweaking older ones. It is an ever changing process, as styles and trends change, just as materials do. With Kevlar and carbon fiber things could get real interesting. DBP ADMIN GABRIEL CRAWFORD TESTING THE STRENGTH OF HIS MADCAP HELMET IN TRUE DIRTBAG FASHION. #WALLACE!! After more than 17 years he is still producing well crafted helmets one at a time for anyone and everyone he can. The beginning was slow but with the rise and ease of the internet Doug has been able to reach a larger and growing audience. He has done well at Gauley and other festivals, usually selling out of inventory long before its time to go home. 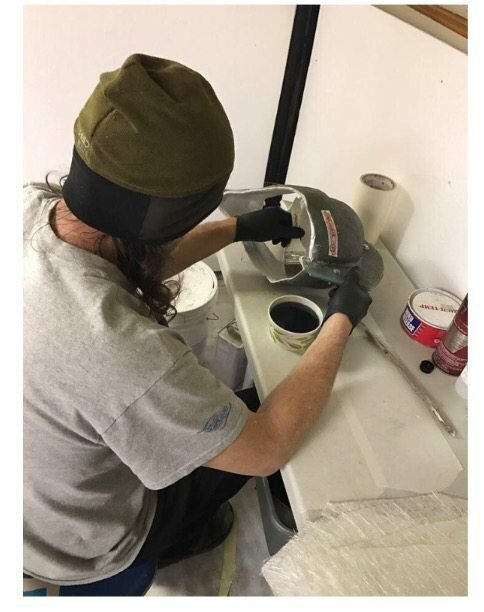 His helmets are made with love and care and he can custom make the color of your dreams with as much or as little metal flake as you like. He talks of a day when he can have a large building. He wants to employ people. People to whom he can pay a fair wage. People that love the idea of producing a quality product right here in the mountains near the rivers they are used on. Doug loves this area and he loves making helmets. I have to say when you get it on and it’s fitted right, you hardly know it’s there. 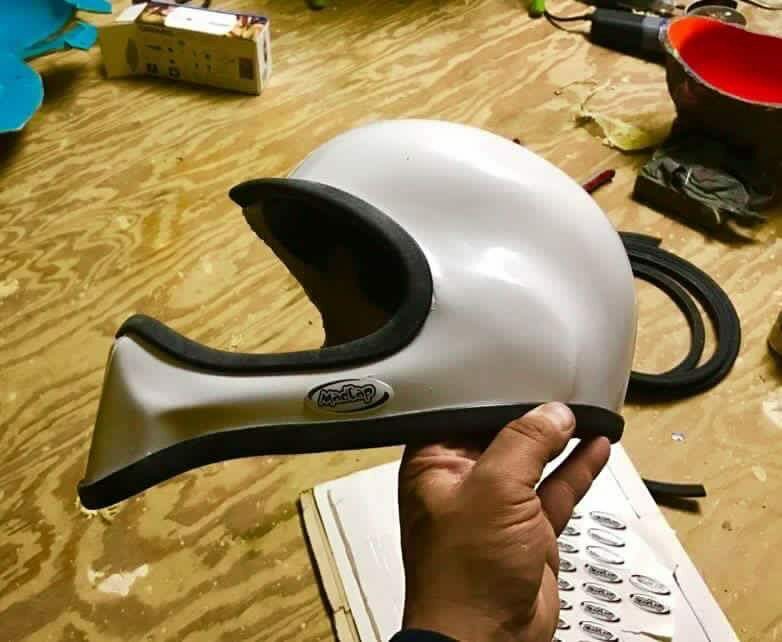 Doug is in the trial stages of a full face helmet and AE has been sending it through the gnarr so we will see what the future holds for that model. I have a feeling if it is as smooth as everything he has done so far it should be another winner. Doug has contributed decals and a $20 discount on a custom helmet for the LUCKY 7 members of the 2016 ALL-WALLACE TEAM, in addition to a t-shirt for the Team Captain. I encourage you to seek out a MADCAP helmet for yourself. You can find them by going to the interweb and typing MADCAP helmets into the thing! Good God you should know how to do it by now! But also https://www.facebook.com/MadcapHelmet/?fref=ts if you need help. They make a quality helmet that will look good while saving your dome! This in the long run makes you look better. 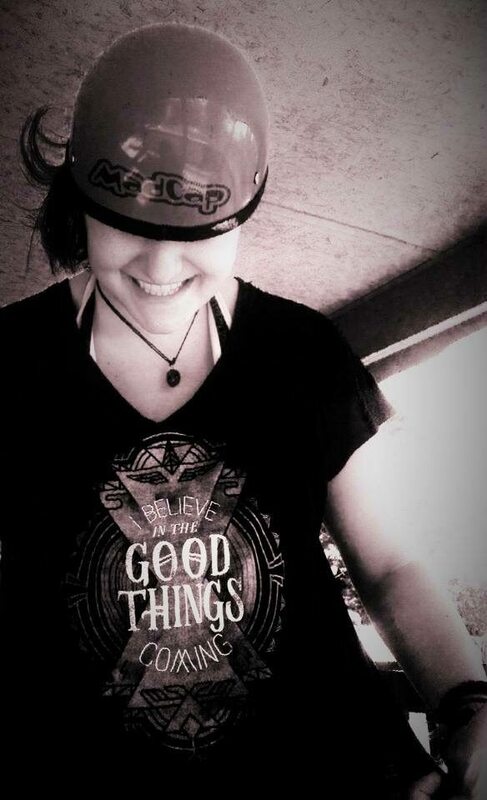 So, MADCAP helmets = keeping you looking better! Keep in mind they are in the Nantahala river valley. Service is limited at best. This isn’t a 30 minutes or less deal. Give the man a few days, maybe a week to get back to you. I doubt it will take that long but if it does it’s because he is busy! He has another job working for the N.O.C. So order you up a helmet and help Doug get to building helmets full time!